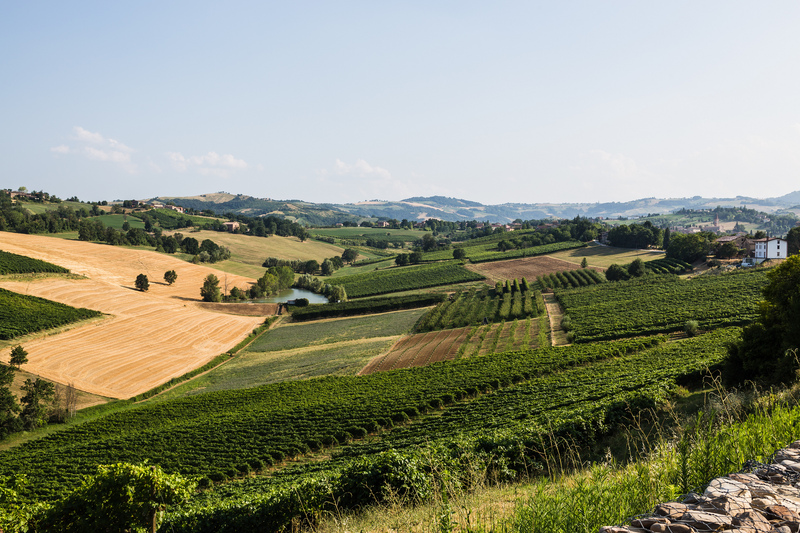 This is an easy multi-faceted cycling journey through Italy's gorgeous Emilia-Romagna region, providing ample opportunity to enjoy the region's gastronomic specialities on site, directly from the producers. Lying between the Po River to its north and the Apennine Mountains, to the south, it is one of the most fertile and productive regions of Italy due to its coastal climate. 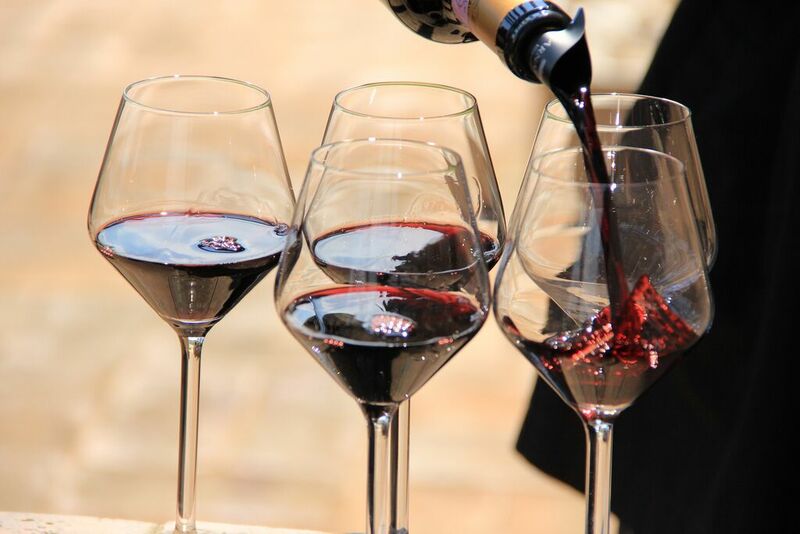 Many of Italy’s finest Protected Denomination of Origin products (PDO), such as Parmigiano Reggiano, Modena authentic Balsamic Vinegar, Parma ham, traditional hand-made stuffed pasta, not to mention DOCG classified wines can be found in this region. Food and wine are not all you will enjoy. As you pedal the landscape, enjoy the cuisine, you can also experience the art and history of the area with its castles and heritage villages dating back to the Ducal period, a time when extraordinary art flourished. 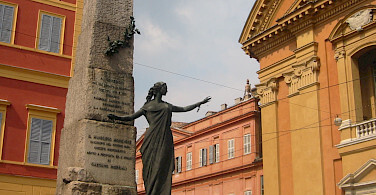 Showcased during this tour is the Via Emilia. This road, built by the Romans in 187 B.C., gave rise to important cities such as Bologna, Modena, and Parma at a time when the greatest artists and architects worked in this domain. 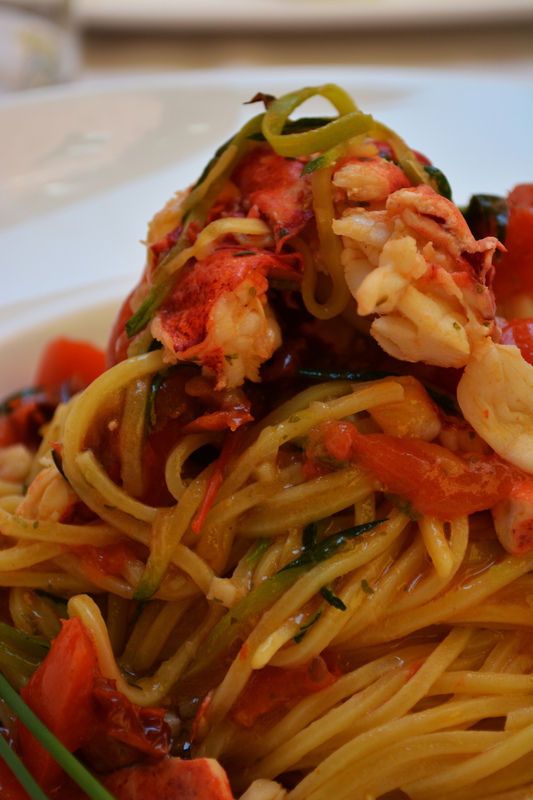 This tour is designed to explore the Italian Savoir Vivre; the historical and artistic heritage, the pleasure of good food and wine, and the love of good music! *This tour is offered as a 7-day guided tour or an 8-day self-guided tour. See itinerary details. 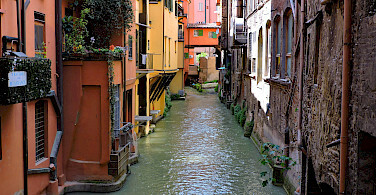 Don’t forget that Tripsite offers other amazing bike tours in Italy along with 100s of other bike tours in Europe. 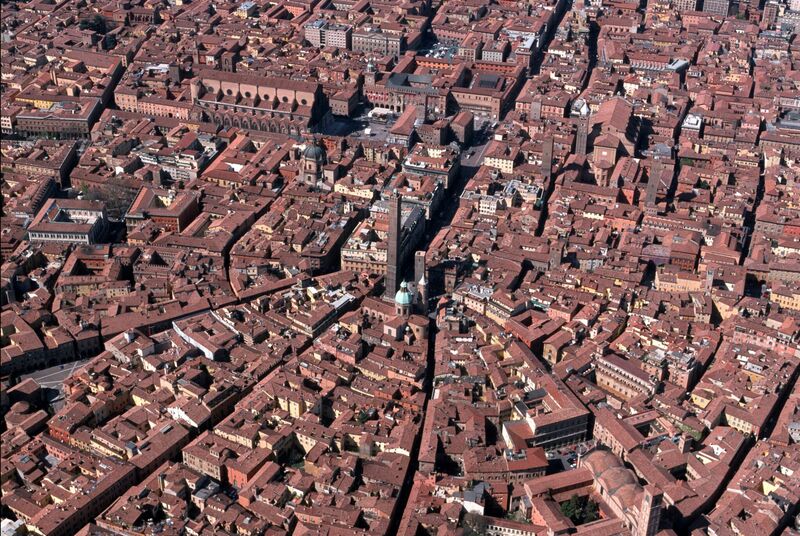 Closest international airport to the tour start of Parma is Bologna, located 6 km from the city center. From the airport you can take the Aerobus service that departs Terminal Patrenze hourly to Bologna Centrale Train station. From here, you can take the train to Parma. Total travel time is about 1 hour and one half. *Minimum of 6 required to confirm a departure. This is an easy to moderate guided or self-guided tour with a terrain that varies from flat to hilly with some gentle climbs and descents. Average length of the daily rides is 57 to 68 km. The roads are 90% asphalted and 20 % unpaved surfaces and trails. Individual arrival in Parma. 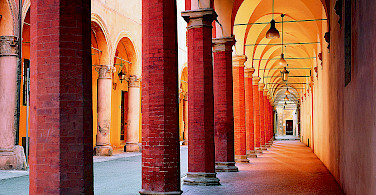 Be sure to visit Parma’s city center where you will find masterpieces of art, open green spaces, and treasures from across the ages. Welcome meeting at 6 pm, briefing, and bike delivery. 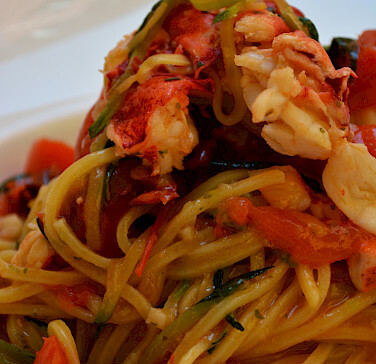 You will enjoy a typical dinner in a trattoria. 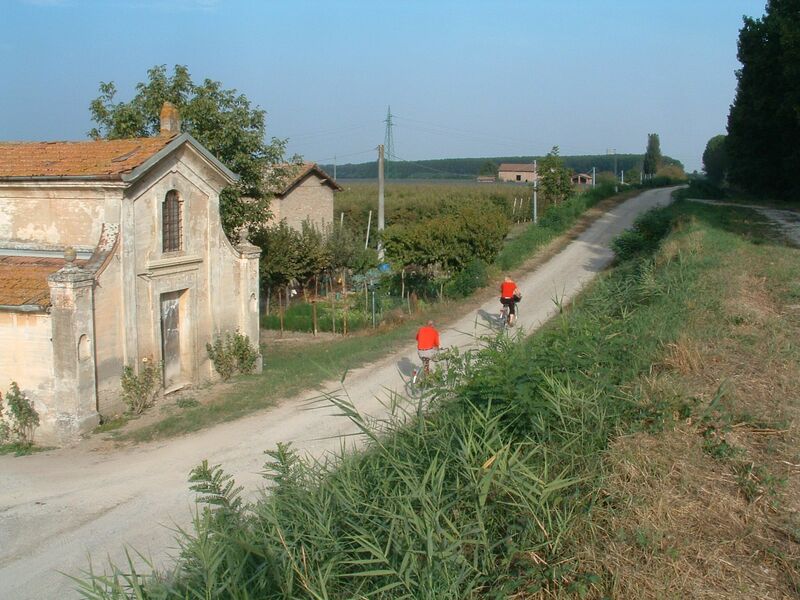 After breakfast you will cycle through the countryside along partially paved lanes and past the Paradigna Cistercian Abbey, celebrated by Stendhal as the Certosa di Parma. 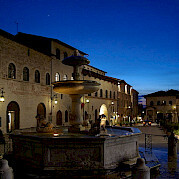 In San Secondo, you will visit a caseificio (cheese factory) where Parmigiano Reggiano is produced. Parmesan, an ancient cheese, is still produced with the same traditional care taken eight centuries ago. The strict production regulations, the close link to the land of origin, the use of raw milk and other natural ingredients (16 liters of milk are required to make 1 kg of Parmesan!) are key features distinguishing this cheese from the imitations. Don’t miss a tasting! Continue to Fontanellato to visit the mighty fortress of San Vitale. 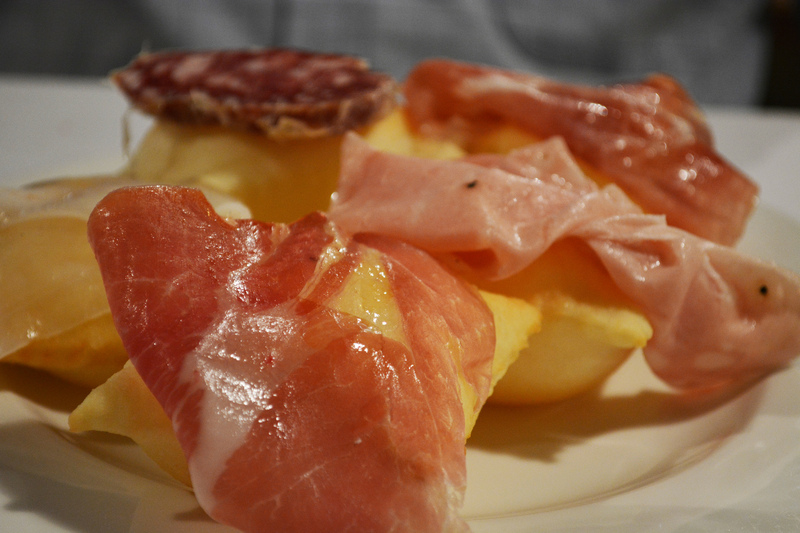 Overnight will once again be in Parma and dinner will be enjoyed in a trattoria. 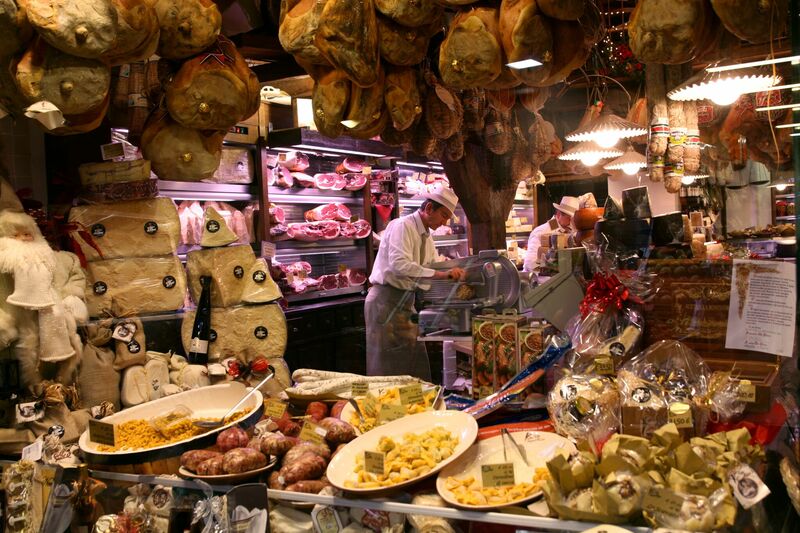 Today you will discover the land where Parmigiano is produced along with the famous Parma ham. 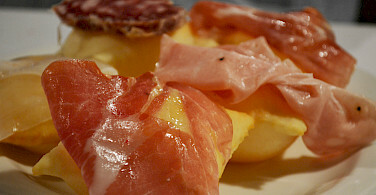 Parma's delicate flavor, slightly salty, with a fragrant aroma, is the result of the particular climate conditions in which this ham is dried and aged. The air of the region, scented by the pine woods and Versilia chestnuts of the Parma hills and balanced by the mountains of Cisa, produce the essential features of real Parma Ham. 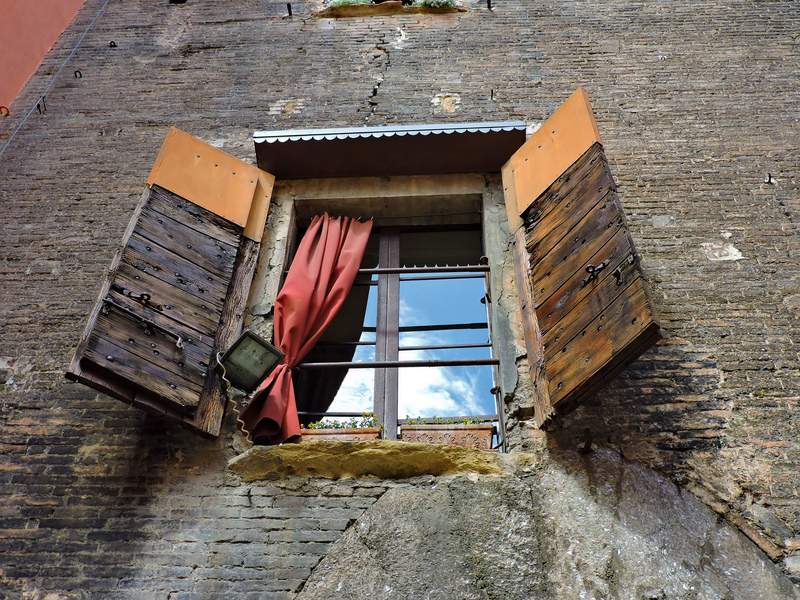 Enjoy a taste of history instead with a visit to the Torrechiara castle. Set on a high perch overlooking the Parma valley, this structure dating back to 1460, is one of the best-preserved fortifications in the region. The route continues leading through farmland until you reach the ancient fortress of Montechiarugola, overlooking the river Enza and the castle of Montecchio, part of Matilda di Canossa’s duchy defense system. 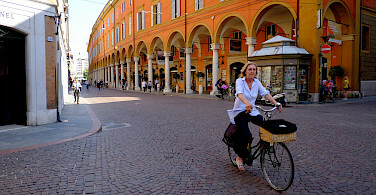 The day ends with a ride through the city of Reggio Emilia, enjoying the beautiful buildings and churches in old town. Overnight in Reggio Emilia. 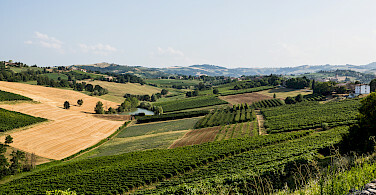 Today’s route through the countryside of the Po Valley will offer many possibilities for tours and tastings. 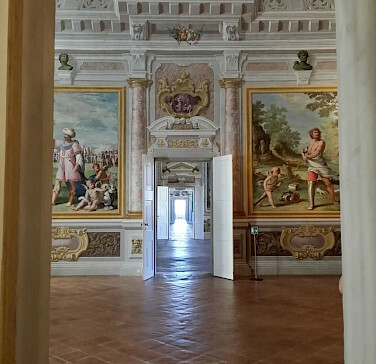 First stop is in Correggio, a small Renaissance court bearing the name of the famous painter born there. You continue through the vineyards of Lambrusco di Santa Croce DOP on the way to Carpi, a pearl of the Renaissance and ancient home to the Pio lords. Cycle the last 18 km to arrive at the day's destination, Modena. This city offers extraordinary beauty concentrated in its graceful historic center. 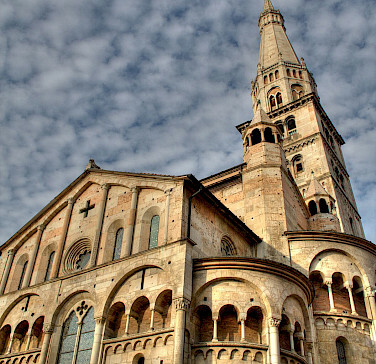 UNESCO has acknowledged the universal value of the city's monumental treasures by designating the Cathedral, Piazza Grande, and the Ghirlandina Tower UNESCO World Heritage. Overnight in Modena. After breakfast, you will cycle from Modena to Spilamberto to visit an “acetaia”, where the authentic Balsamic Vinegar is produced. This vinegar received PDO status in 2000 and is unique among the world's vinegar-based seasonings. You will continue to Vignola, the city of cherries, and the famous Barozzi cake. Be sure to savor a slice of cake at the celebrated Gollini pastry and take a stroll to the mighty castle. This fortress is open to visitors and offers amazing views of the surrounding landscape from its walkways and towers. 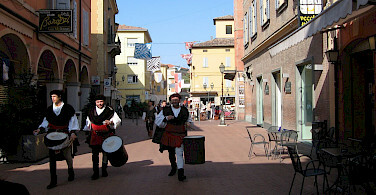 Continuing on country to the town of Castelvetro renowned for the PDO Lambrusco wine. Stop at a winery to enjoy a tasting. After passing Formigine, the route returns to Modena. Stop at Luciano Pavarotti’s house. 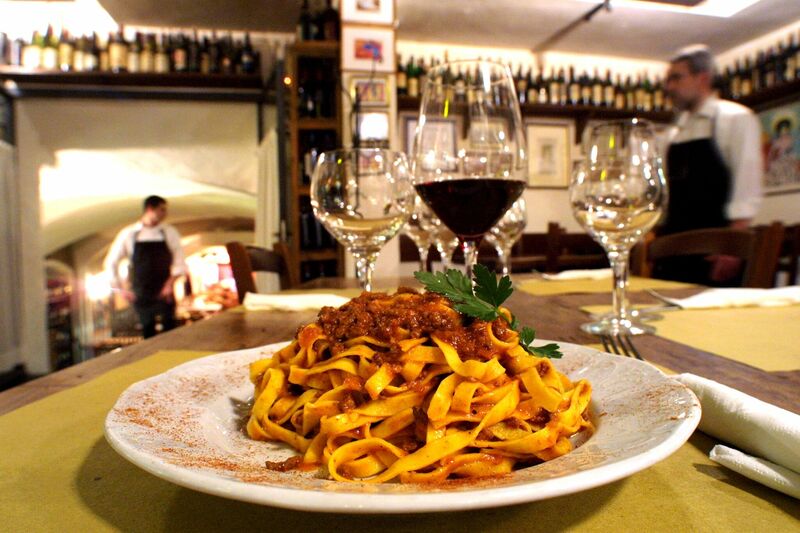 Dinner in a local trattoria to experience the typical dish “Gnocco e Tigelle”. Overnight in Modena. You will follow the cycle path this morning leading out of Modena along the banks of the Secchia River through the countryside and vineyards. The first stop is in Nonantola to visit the Abbey. Dating back to XII° century, this Romanesque masterpiece lies along the Romea Nonantolana route followed by Pilgrims around the year 1000 as they traveled to Rome. This area, dotted with manor houses and Romanesque churches, offers many options for tasting authentic Aceto Balsamico as you continue to San Giovanni in Persiceto. 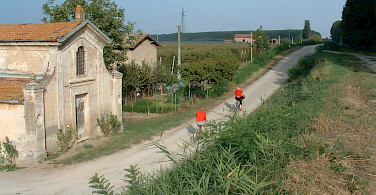 Follow the Navile cycle path through Sala Bolognese an on to Bologna. 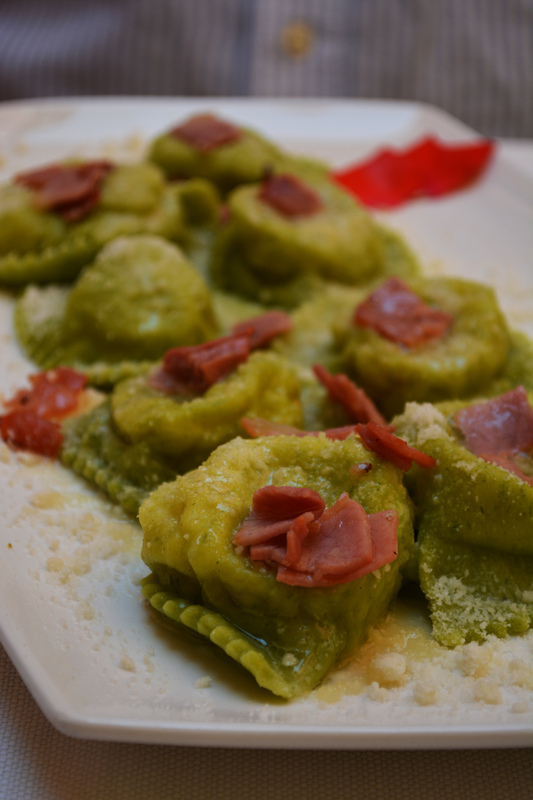 This evening you have the opportunity to participate in a cooking lesson where you'll learn to prepare some typical Bologna dishes. The evening ends with a lovely group dinner where you'll eat what you've prepared! Overnight in Bologna. Individual arrival in Parma. 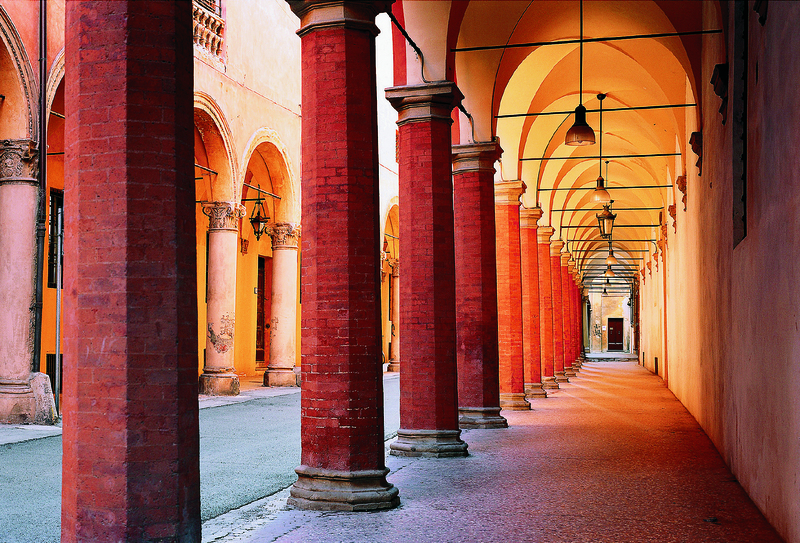 Visit Parma’s city center where you will find masterpieces of art, open green spaces, and significant treasures from across the ages. This city welcomes visitors into the refined atmosphere of a small capital. Dinner is on your own. Overnight in Parma. After breakfast, you will meet with our local representatives for bike delivery and tour information. You start cycling through the countryside along partially paved lanes to San Secondo, here, you will have the opportunity to visit a “caseificio”, a cheese factory where Parmigiano Reggiano is produced. 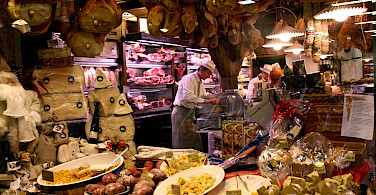 Parmesan, one of the most ancient cheeses, is still produced with the same traditional care taken eight centuries ago. The strict production regulations, the close link to the land of its origin, the use of raw milk and other natural ingredients (16 liters of milk are required to make 1 kg of Parmesan!) are key features which distinguish this cheese from the imitations. Don’t miss a tasting! You continue to Fontanellato, there, you will find the mighty fortress of San Vitale, a castle dating back to XIV° century and home to a great Parmigianino painting. 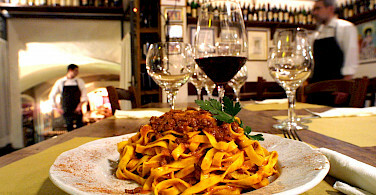 Dinner in a typical trattoria. Overnight in Parma. Today you will discover the precise area where Parmigiano is produced along with the famous Parma ham. Parma’s delicate flavor, slightly salty with fragrant aroma, is the result of the particular climate conditions in which this ham is dried and aged. The air of the region, scented by the pine woods and Versilia chestnuts of the Parma hills and balanced by the mountains of Cisa, produce the essential features of real Parma Ham. For a taste of history do not miss Torrechiara castle. Set on a high perch overlooking the Parma valley, this structure dating back to 1460, is one of the best-preserved fortifications in the region. Continue this pleasant route through cultivated fields until you reach the ancient fortress of Montechiarugola overlooking the river Enza and the castle of Montecchio, part of Matilda di Canossa’s duchy defense system. 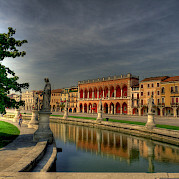 End your day with a ride through the city of Reggio Emilia, enjoying the beautiful buildings and churches in old town. Dinner is on your own. Overnight in Reggio Emilia. Today’s route through the countryside of the Po Valley will offer many possibilities for tours and tastings. 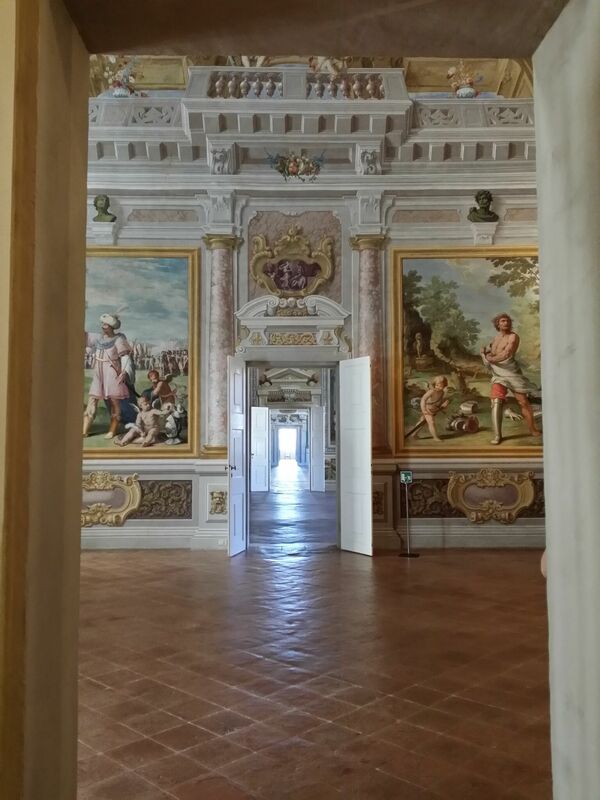 First arrive at Correggio, a prestigious small Renaissance court bearing the name of the famous painter born here. Continue through the vineyards of Lambrusco di Santa Croce DOP on the way to Carpi, a pearl of the Renaissance and ancient home to the Pio lords. Experience the significant artistic heritage of this city dating back to the Middle Ages. Visit the beautiful Romanesque church known as “La Sagra”, the historic Deportation Museum, and the city square, the third largest in Italy and the site of the great castle. Cycle the last 18 km to arrive at the day's destination, Modena. This city offers extraordinary beauty concentrated in its graceful historic center. UNESCO has acknowledged the universal value of the city's monumental treasures by designating the Cathedral, Piazza Grande, and the Ghirlandina Tower UNESCO World Heritage. 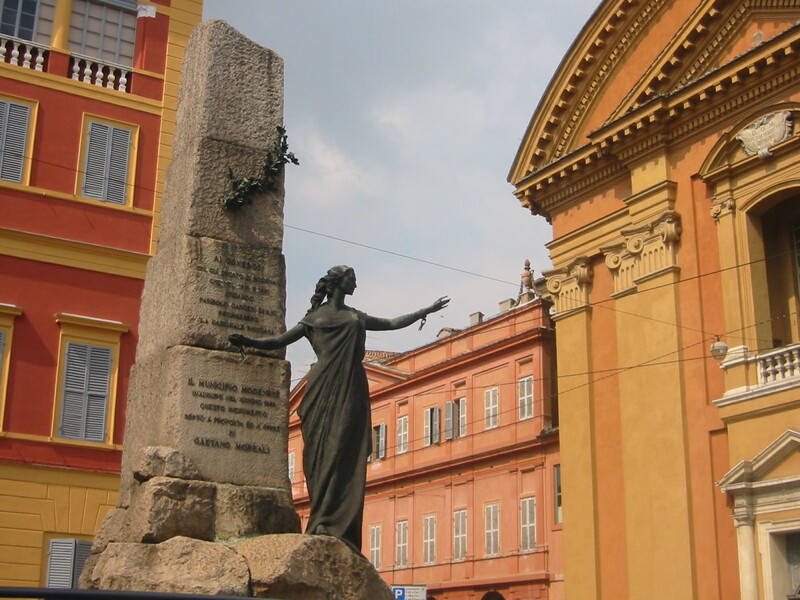 Piazza Grande is the heart of life in Modena and the place where the most significant and most-loved monuments are located. The Cathedral, one of the finest masterpieces of European Romanesque, is the work of great architect Lanfranco and master sculptor Wiligelmo. 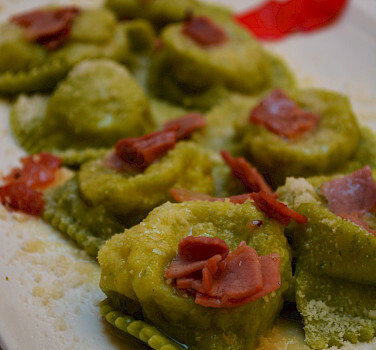 Dinner in a local trattoria to experience the typical plate “Gnocco e Tigella”. Overnight in Modena. After breakfast, you will depart Modena via the cycle path that was once a historic railway route to Spilamberto. Here you can visit an “acetaia”, a factory where authentic Balsamic Vinegar is produced. This vinegar, proudly receiving PDO status in 2000, is unique among the world's vinegar-based seasonings. Unlike other vinegar which is produced from an alcoholic liquid, Balsamic Vinegar is produced directly from the juice of the grape. Continuing on to Vignola, also know as the city of cherries and the famous Barozzi cake, be sure to savor these delicacies. Enjoy a slice of cake at the celebrated Gollini pastry and then take a stroll to the mighty castle. This fortress is open to visitors and offers amazing views of the surrounding landscape from its walkways and towers. 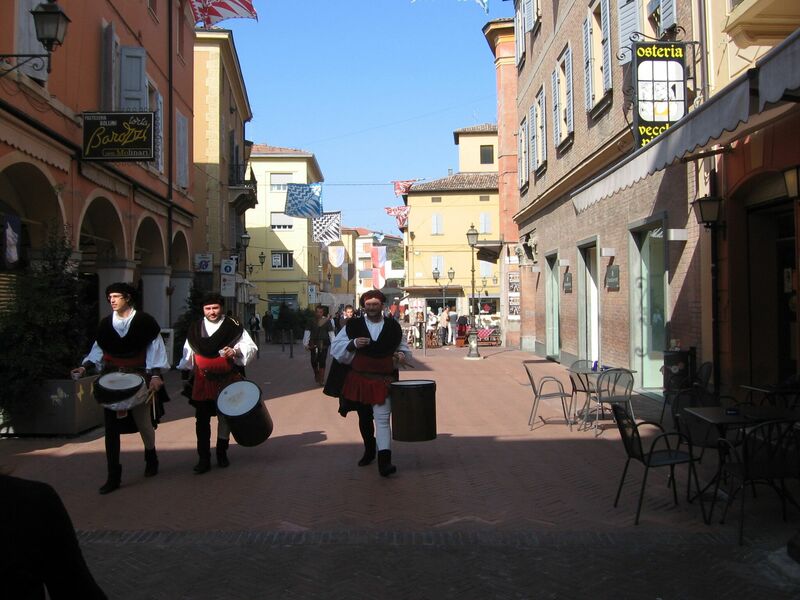 Next on the agenda is the town of Castelvetro, renowned for the PDO Lambrusco wine. 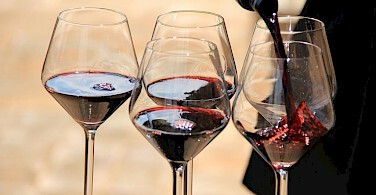 Stop at a winery and enjoy a tasting. After passing Formigine, the route returns to Modena. Dinner is on your own. Overnight in Modena. 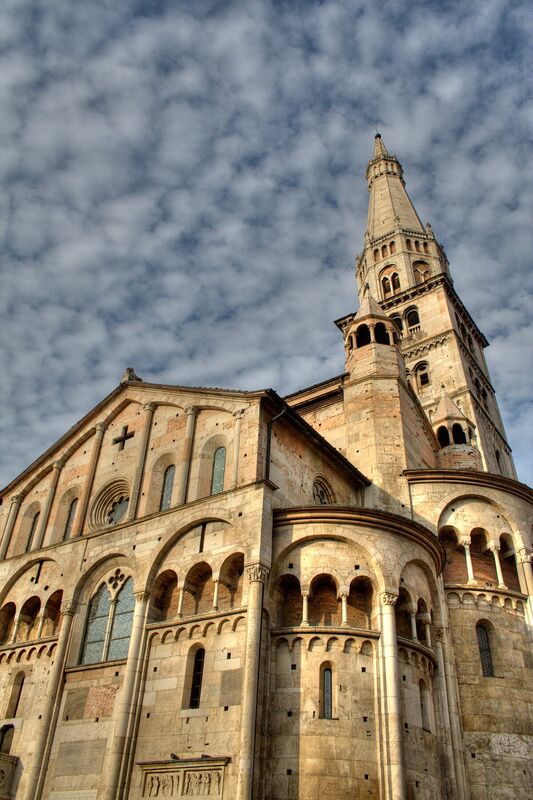 The route leads out of Modena along the banks of the river Secchia through countryside and vineyards. The first stop is in Nonantola to visit the Abbey. Dating back to XII° century, this Romanesque masterpiece lies along the Romea Nonantolana route followed by Pilgrims around the year 1000 as they traveled to Rome. This area, dotted with manor houses and Romanesque churches, offers many options for tasting authentic Aceto Balsamico as you continue to San Giovanni in Persiceto. 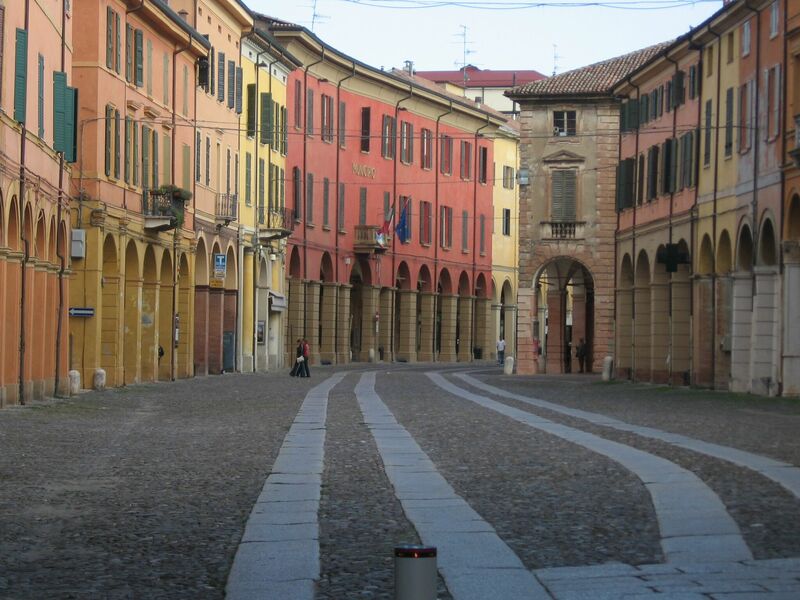 Follow the Navile cycle path through Sala Bolognese, you will continue on to Bologna. Dinner in a typical trattoria. Overnight in Bologna. 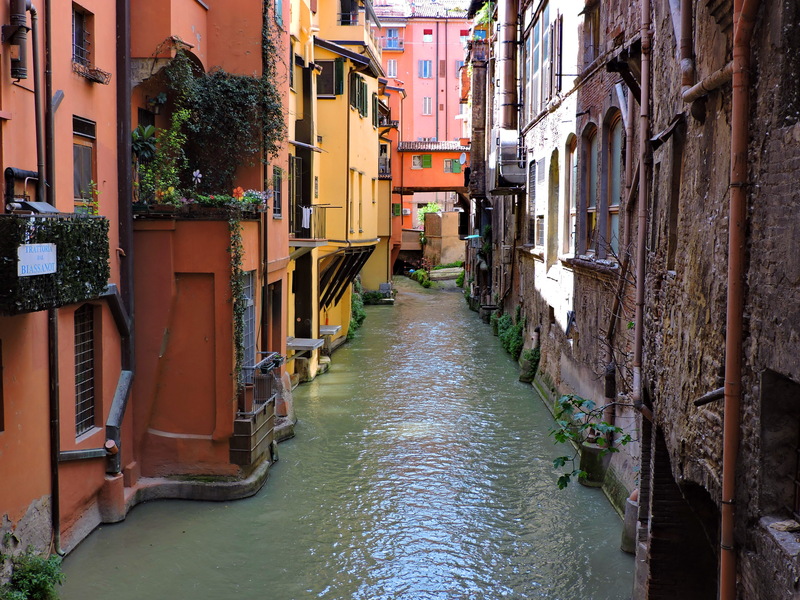 After breakfast, a half-day of cycling will provide a tour of Bologna. In the afternoon you are free to enjoy a stroll in the beautiful city center famous for its nearly 40 km arcades, the longest in the world. Nicknamed “The Learned” for its old University, and “The Fat” for its food tradition, the city is also a “UNESCO Creative City of Music”. It has one of the largest and most well-preserved medieval historical centers filled with restaurants, taverns, theaters, and shops. Piazza Maggiore, where medieval palaces overlook energetic daily life and economic activity, offers a prime view of this beautiful city. 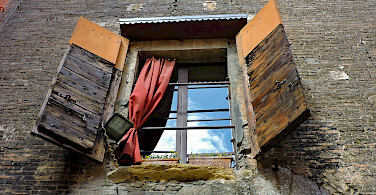 History combines perfectly with the present while preserving antique charm. 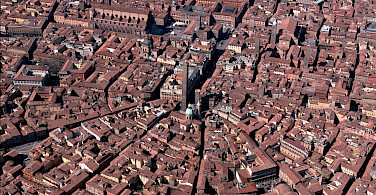 Among the symbols of Bologna are the medieval towers, particularly the magnificent Two Towers: Asinelli tower (98 m) and neighboring “twin” Garisenda (48 m, mentioned in Dante's Inferno). When you are ready to relax, indulge yourself with a slice of mortadella and a glass of Sangiovese wine! The best way to end your trip. Dinner is on your own. Overnight in Bologna. End of tour after breakfast. Be sure to look at our featured bike trips, specials, and news. This tour is run by Verde Natura. The tasting opportunities added a different perspective to just cycling.